Tiny Devbox is a standalone game company from Korea, recently released Dead Rain: New zombie virus game with a lot of ambition. And it’s unbelievable, it’s got a lot of fondness when it comes to getting 10,000 downloads in just a few days, along with a lot of 5-star reviews on Google Play. Let’s take a look at this game before downloading and playing it. Dead Rain Mod APK is set in the world at a time when an acid rain carrying a virus attacks humans. They have transformed humans into bloodthirsty zombies and eat the flesh of the survivors of the world. In this game, you will become the only lucky person immune to the virus and take on the task of saving the world. Like the character Rick Grimes in the popular drama The Walking Dead, players will also have many challenges as the Zombies constantly appear, forcing you to shoot nonstop. Your relatives, friends, and neighbors are no longer the same people. The human mission is putting a heavy weight on your shoulders. 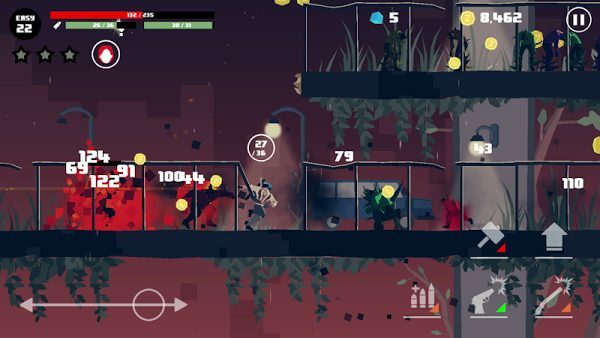 In order to kill the bloodthirsty and dangerous zombie, players need to take full advantage of the available resources, especially the rifle with their ammunition. But beware of the zombies coming close to you, you can use the melee to finish them off as quickly as possible. The more you kill, the quicker you will receive the more attractive bonuses and bonuses to upgrade weapons, equipment, make hunting trip easier than ever. Dead Rain: New zombie virus has a lot of new maps, dangerous areas in the world that you never know. Along with that, there are over 100 different levels with increasing difficulty. Along with that is a lot of different tasks, this is the opportunity for gamers to wipe out the zombie flood but the chaos of space and time. The game is highly entertaining thanks to the fun platform music. 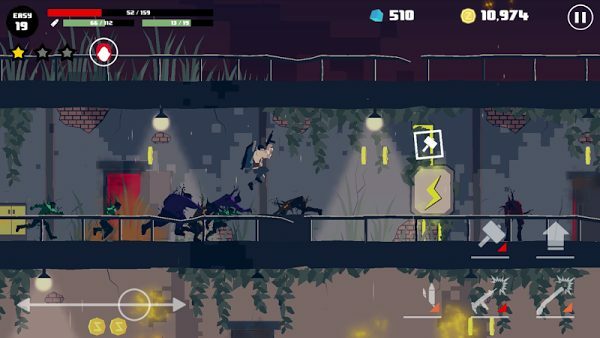 Zombie characters are designed not too scary so the game is suitable for all ages. Grand prize system is clearly hierarchical. Shooting Zombies with interesting quests. In-game IAP packs require players to pay a fee to use them. In the initial stages, players are required to pay real money to buy the crystals in exchange for a chance to live again. To install Dead Rain: New zombie virus APK from ModDroid.Com you need to set up a device that can install applications that are not on Google Play. To set this up you need to go to Settings> Security> in the Device Manager section, select the Unknown sources (Allow installation of applications not from Market).